It's been a quiet month. The type of month that seemed unassuming and ho-hum from the outside, but on the inside, unfolded into a series of insights and delights. For my end of month recapitulating and your reading pleasure voici, an update of the mish-mashy kind. Settle in. 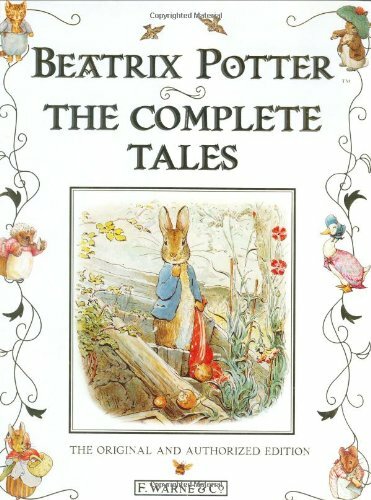 Earlier this month, for no rhyme or reason, Beatrix Potter came to mind. I'd never read any of her stories nor did I know much about her other than she's a famed children's writer and illustrator. Shortly after she popped into my head I stumbled upon a biography of hers at the library. Seeing this as a twist of synchronicity I picked it up. Since then I've slowly been delighting in getting to know both her and her tales, reading them for the first time, even gleaning a few insights along the way. Sometimes the smallest weirdest hunches may lead to surprising and enjoyable discoveries. Heed them. Early last year I stated a desire for a new laptop. I was hesitant to spend the money so I tried using my 10-year old Mac instead. No go. Then I tried using a combination of my iPad and a Bluetooth keyboard. That didn't cut it either. As I tried to find a solution, I kept putting my pennies away until finally, I realized that I had enough put aside to treat myself with a clear conscience. So I did. "So what? ", you might say. I don't buy big ticket items often, I guess you could say I'm a bit of a penny-pincher that way. But this time I saved the money and spent it intentionally on a purchase that feels right. 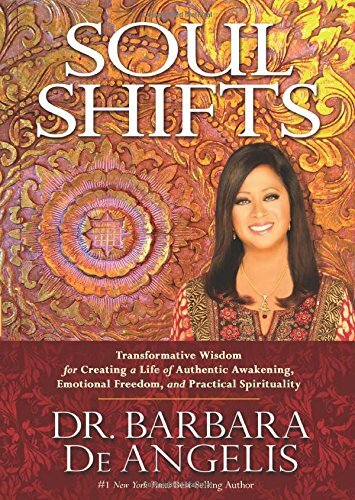 Though I read many non-fiction books, it's been a while since I've found one that captured me such as Soul Shifts, by Dr. Barbara De Angelis. I used to own a plethora of books you could slot into the "self-help" or "spiritual" categories, but during these past several years I've purged my collection considerably. This month I stumbled upon this book during another one of my walk-through-the-aisles-at-the-library-and-see-what-calls-me expeditions (the same way I found the Beatrix Potter biography) and felt drawn to it, so I picked it up. Whoa! It grabbed me from the very first few pages. I've already renewed it a few times, slowly taking in its words and insights, mulling them over, letting them percolate, putting them into practice. Sometimes the smallest weirdest hunches may lead to reflection and revelation. Heed them. I couldn't offer a mish-mash of January happenings without mentioning my quasi-obsession with farm-related historical documentaries. Yes, you read that right. Throughout the month I've been soaking in episode after episode of BBC's Tudor Monastery Farm and my latest obsession, Wartime Farm, in which the running of a WWII farm is reenacted close to Southampton, in the UK. I am absolutely fascinated by the everyday lives of farmers throughout these different eras - fascinated! What did they eat? How did they live? How did they use and leverage the resources at hand to survive, or even thrive? I could go on. I've been watching the documentaries via TV Ontario's website, but I believe they're also available on Youtube and I'm guessing, via BBC's website. You might also be able to find them on DVD at your local library. If you're into history, farming and/or domesticity across the ages, I highly recommend it. But be forewarned, you might get hooked. Finally, this past Monday marked 10 years of blogging. It passed without fanfare or grandiosity, but it was proudly acknowledged and even touted a little at the office. I am very proud of this accomplishment. Ten years is a long time persisting, however imperfectly at times, and it's worth celebrating. I haven't figured out what I want to do about it here yet so I'm holding off. I trust the right idea will come along eventually. Stay tuned. In the meantime if you're interested in reading my very first post you can find it on my very first blog called Urban Living Experiment (scroll to the bottom of the page). Without knowing what I was getting into, this post kicked off ten years of writing online - so far - and one tremendous journey of transformation. I am grateful. Many quiet days, many insights, delights, and even a few quiet celebrations. Such was the nature of this January.